A skillful braiding of subplots and flashbacks spins the yarn of an aging cowboy on an existential journey. Charlie Quimby’s Monument Road is a modern-day Western saga not to be missed. It spins the yarn of Len Self, an aging cowboy wounded by life, a man with a heart so big that even a barrel chest couldn’t contain it. More than merely another Old West tale, Monument Road takes readers on an existential journey that exposes life’s underbelly as Len scrabbles to hold onto his ranch before fulfilling his beloved wife’s dying wish that he scatter her ashes to the wind off Artist’s Point one year to the day after her death. What Inetta doesn’t know is that Len plans to hurtle off the cliff too, enveloped in a cloud of her gritty remains. 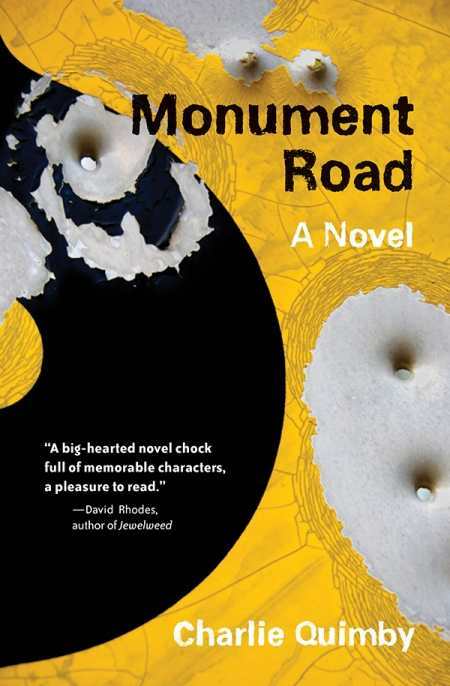 Like a handcrafted lariat, Monument Road braids multiple stories into one seamless plot. Along the way, there are surprises—twists and turns as dangerous as those on Monument Road itself. Short chapters mingle flashbacks with present-day events, and the author builds suspense skillfully, making the novel a page-turner, with each chapter contributing depth and complexity to the full narrative arc. The book’s only drawback is a somewhat confusing cover design. Quimby uses words as spare as Colorado’s landscape to describe characters who range from endearing to crusty, wise to foolish, spiritual to downright evil. The folks who live near Monument Road aren’t just descriptions in a book; they’re complex people readers will care about. Monument Road is for readers who prefer a lope to a gallop, cowboy boots to stiletto heels. So, join these characters—put your boots up on the porch rail and warm your hands on a tin cup of day-old coffee. It won’t be fancy, but it’ll be the real deal.